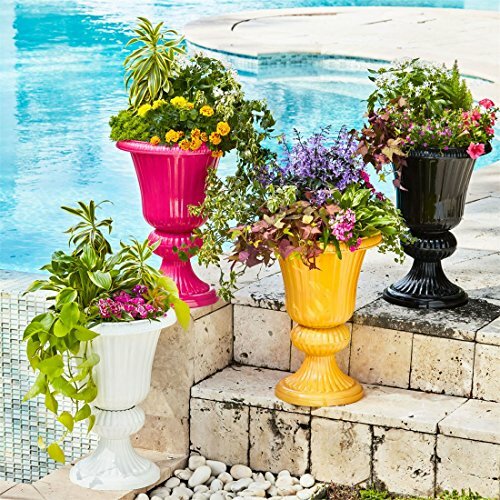 Featuring a beautiful sandblast finish, these colorful resin planter urns add a bold touch to your outdoor space. Create a coordinating or colorful look with multiple pieces. Dimensions: 14.5"W x 20¼"H Resin Wipe clean Imported Proposition 65 (CA residents).